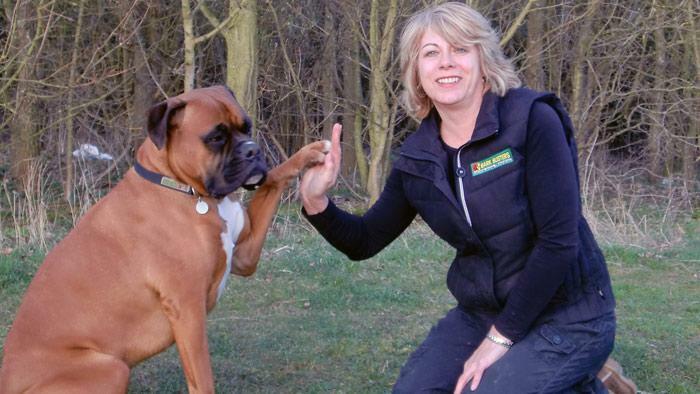 Hi my name's Lynn and I'm your local therapist for Bark Busters Home Dog Training Bedford. Some months later I discovered that there was an opening for a Bark Busters therapist in the Bedford area, so I contacted them. Having seen how well I had worked with Ralf, I applied and was tutored through their extensive training programme. I have never looked back. I love my vocation and love facing the challenges of even what may seem to be the most difficult dogs. It's all about understanding and communicating, something I am confident I can teach to you. 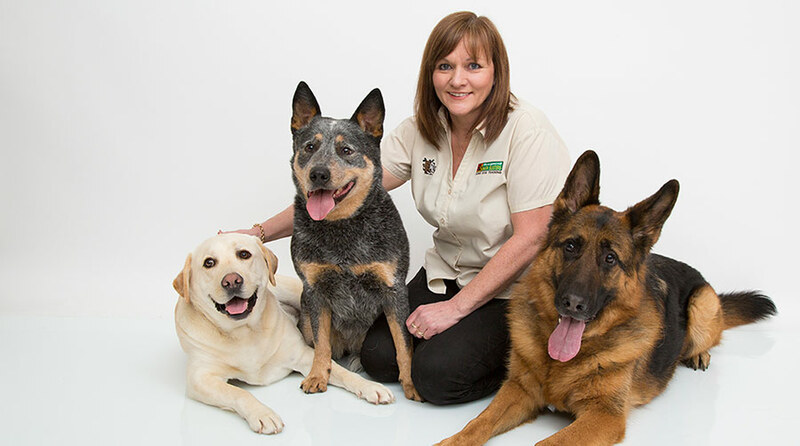 With my help you can change your dog's behaviour as I did. Ralf is now a happy contented dog who volunteers as a "Pets as Therapy" dog and I am also a Pets as Therapy Dog Temperament Assessor.